Arashiyama may be a fit farther away from the city center, but it has been a popular sightseeing spot for decades in Kyoto. It’s most famous for the Bamboo Grove (also sometimes called Bamboo Forest), and many people come to Kyoto just to have their pictures taken here. 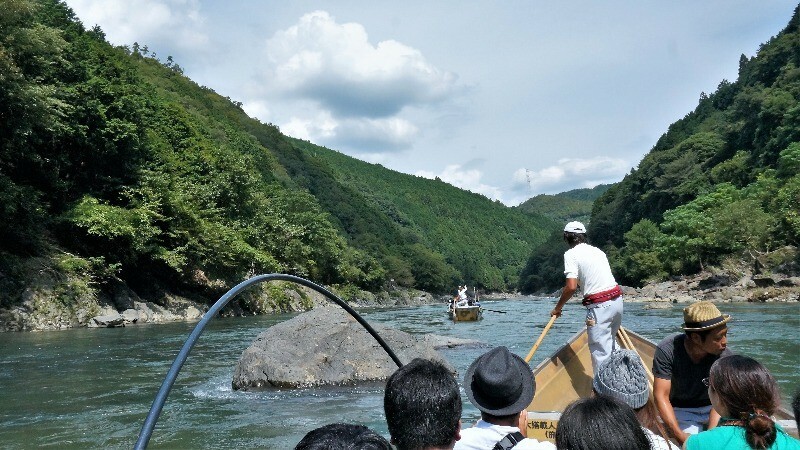 There are also some very exciting extreme experiences you can have in Arashiyama, the main one of them being the boat ride down the Hozugawa River, Hozugawa Kudari. 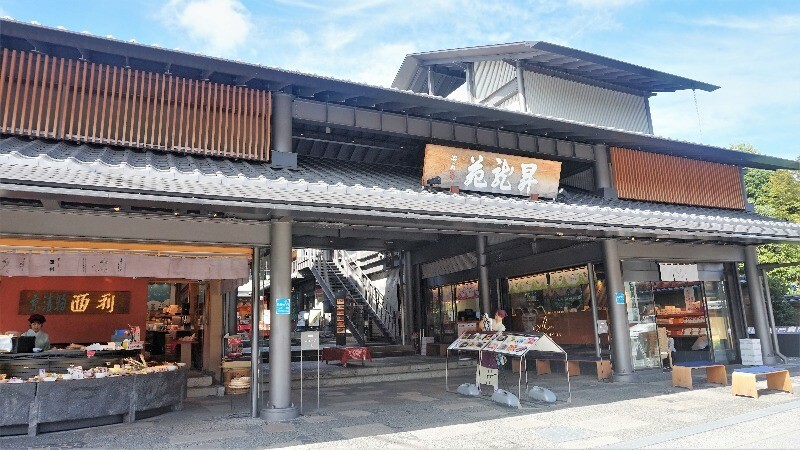 It’s also easy to find places to have lunch and buy souvenirs in Arashiyama, not to speak of afternoon tea. 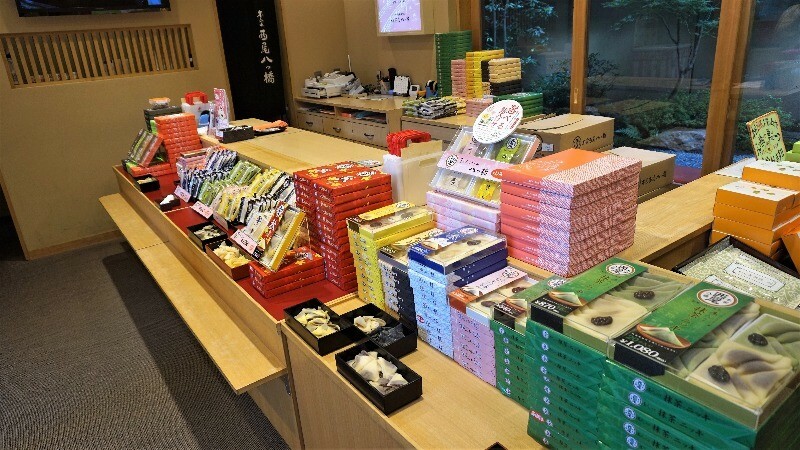 So if you want to have a fun day in Arashiyama, look no further! 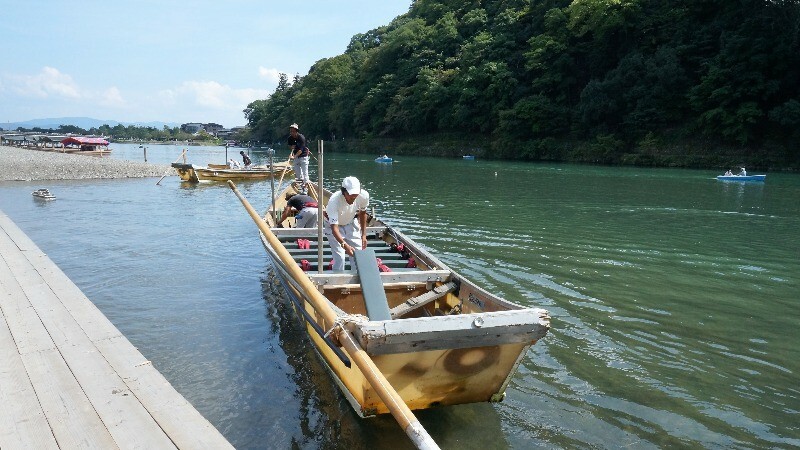 Take a JR local train from Kyoto Station to Kameoka Station, and after walking for a few minutes, you’ll get to the starting point of the exciting boat ride of Hozugawa Kudari. It takes around two hours to get from Kameoka to Arashiyama. On the way there you can enjoy both the great scenery and the great skill of the men guiding the boat along the river currents. The best way to refreshen yourself if it’s a bit too hot in Kyoto is to take a walk in the Bamboo Grove! You can also see rickshaws by the grove, taxiing people from Arashyiama Station to the green bamboo wonderland. 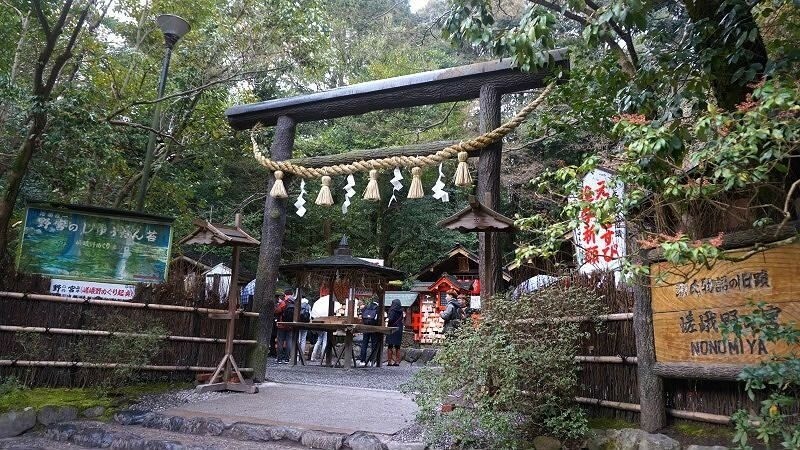 Remember to also take a look at Nonomiya Shrine! 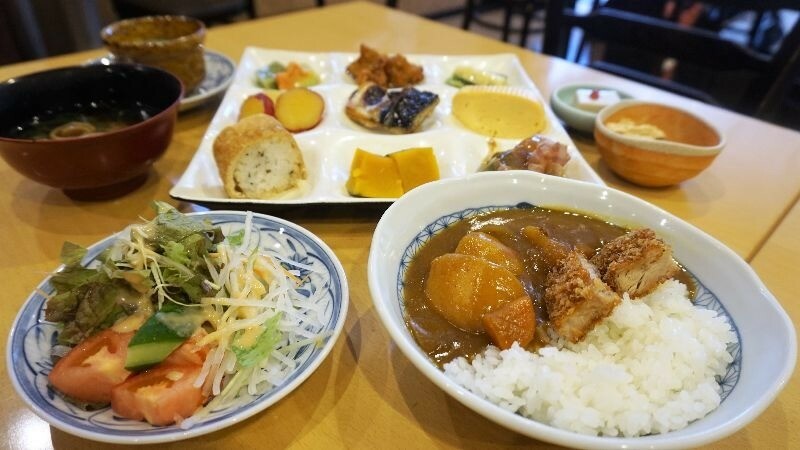 Gyatei offers traditional Kyoto-style home cooking, including such classics as karaage chicken, boiled tofu, and many other delicious foods. They also have a nice selection of desserts. 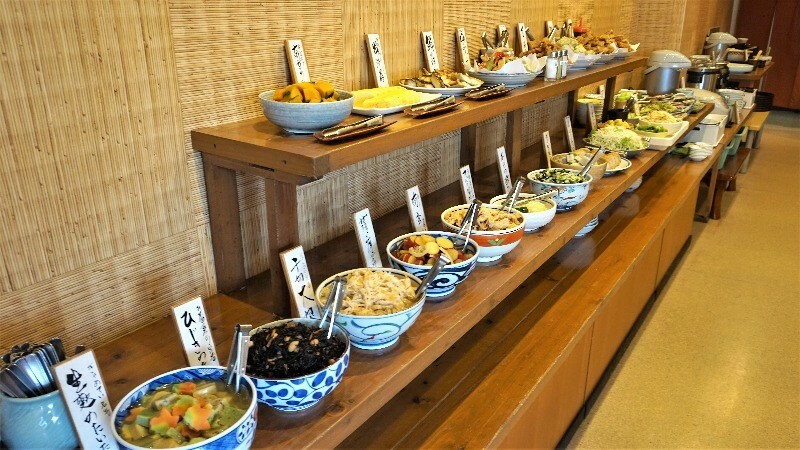 There is a lot to choose from, and as it’s a buffet, you can eat as much as you want! Arashiyama Shoryuen is a shopping mall for souvenirs, and inside it, you can find many of Kyoto’s most famous shops, such as the pottery store famous for selling Kiyomizu-yaki, Asahido; one of Kyoto’s most famous tsukemono pickle shops, Nishiri; and Malebranche, which is famous for its matcha cookies. ! 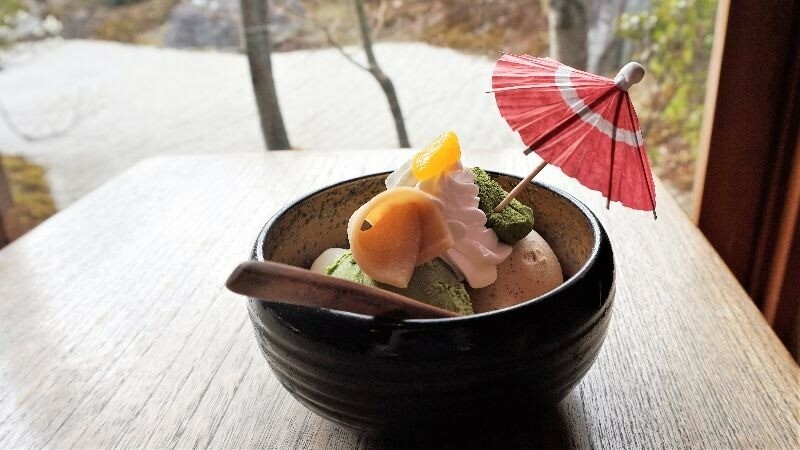 If you want to have afternoon tea, head to eX café Arashiyama main store! 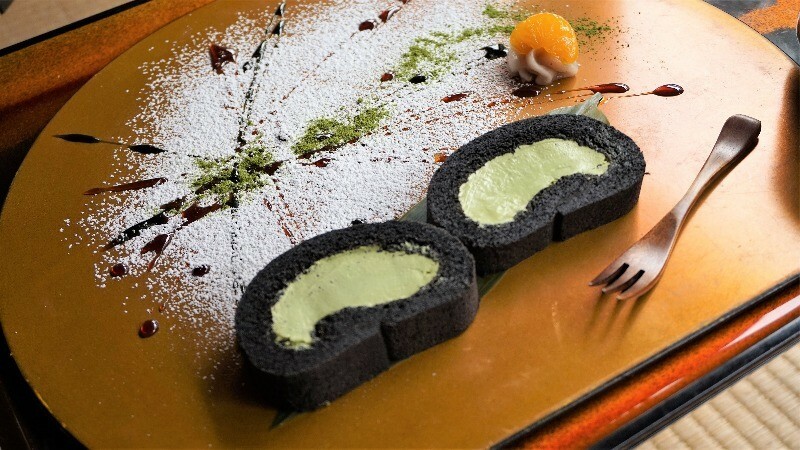 Their Japanese sundaes and cake rolls are excellent, and are the perfect way to end your day in Arashiyama! When talking of Arashihama, most people probably think of the Bamboo Grove, Togetsu-kyo Bridge, and Sagano Romantic Train! But if you have time, I recommend also going to experience the boat trip down the Hozugawa River and enjoy the nature of Arashiyama. 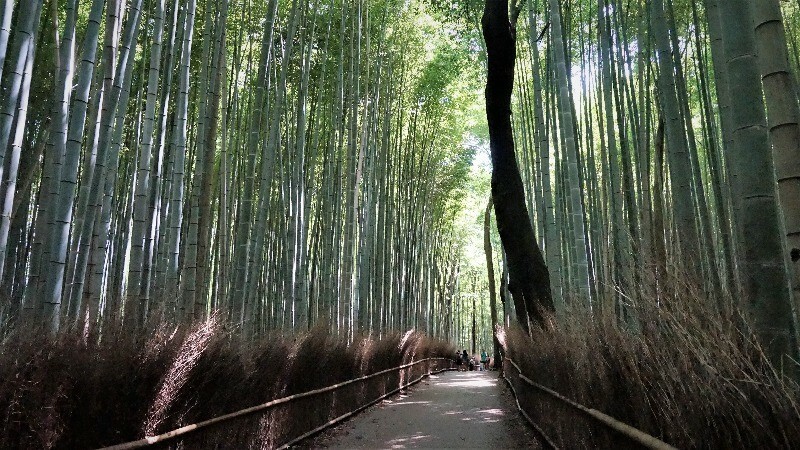 Arashiyama truly is a great retreat from the business of central Kyoto!